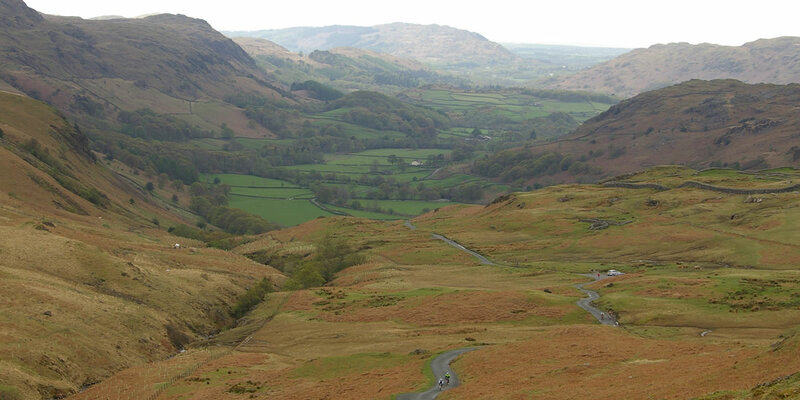 Eskdale is a stunning glacial valley set in the heart of the Western part of the Lake District. The crystal waters of the River Esk flows from the fells at the top of the valley all the way out to sea at Ravenglass 8 miles away. Eskdale and its surrounding areas have plenty to offer. With its many walks ranging from a gentle stroll along the river paths to climbing Scafell Pike, the highest mountain in England. The Eskdale Trail is a great cycle route which follows the River Esk through the valley all the way to Ravenglass, a picturesque eastuary village on the Western Coastline. 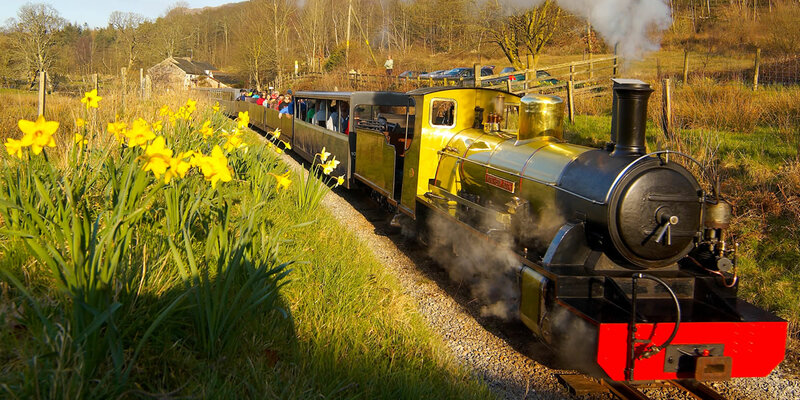 You could take the relaxing and scenic option of returning you cycle journey on the narrow gauge railway from Ravenglass station. 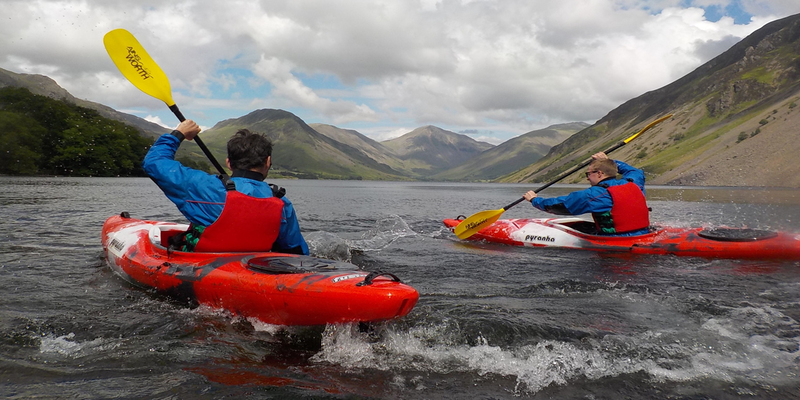 For those seeking some exhilarating activities such as Ghyll Scrambling, why not let West Lakes Adventure arrange a fun packed holiday to remember - there is certainly lots to do! The accommodation is located right next door to a superb pub ‘The Woolpack Inn’ which serves homemade pizza’s from their wood fired ovens, along with the usual pub food. We are also within a mile of two other fantastic eateries - The Boot Inn & Brook House Inn. Three eco-friendly glamping lodges, each with their own en-suite shower room and outdoor living space. 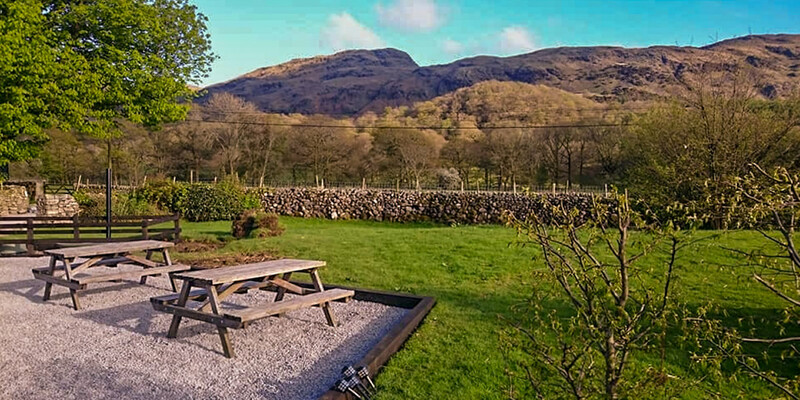 The Byres offer our guests a unique, cosy and comfortable glamping experience where you can enjoy the beautiful Western Lake District and Eskdale Valley whilst still enjoying some of life's home comforts, such as a comfy bed, hot shower, heating and electricity. 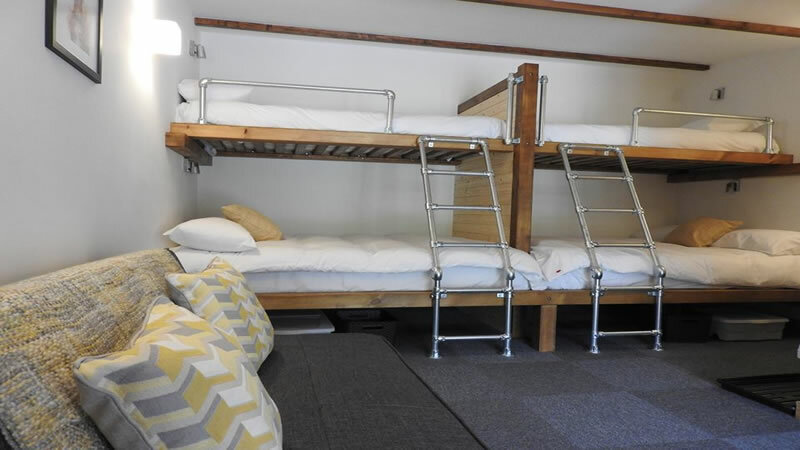 Each of the lodges has a sofa, a kitchen unit with kettle, mugs, teaspoons, drinks tumblers and a small fridge, no other cooking facilities are provided in The Byres, but we do offer a small gas griddle for hire and there are places to barbecue within the grounds. Outside the double patio doors you have your own covered decked area with a table and chairs so you can take in the superb views what ever the weather. On the decked area is a sink and work space, so you can bring along a camping stove. There is a large lawn and picnic benches, as well as a communal fire pit. 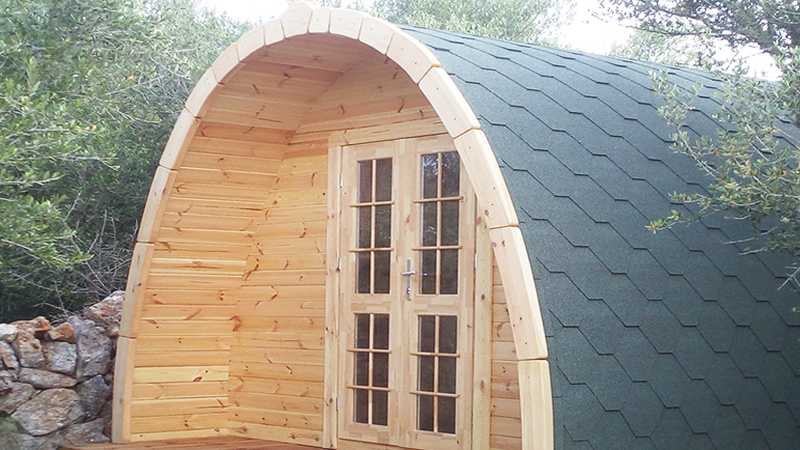 Four large luxury glamping Pods - Coming Soon! In addition to the Byres, we are in the process of extending our accommodation and adding four large pods in the Woodlands which will open late Spring 2019. The Woodland Pods will certainly be a cosy and comfortable glamping experience with their own en-suite shower room, comfy double bed, kitchenette and a double sofa bed, easily sleeping two adults and two children. They are fully heated and open all year round. They also have the luxury of an en-suite shower room with toilet and sink. Each of the Pods will have their own outdoor space with a table and chairs and chiminea, so you can sit out in the evenings and enjoy the natural sounds of the countryside. Facilities inside will include a microwave, small fridge and Kettle, along with mugs, tea spoons and drinks tumblers, there will be use of a gas barbecue to hire. 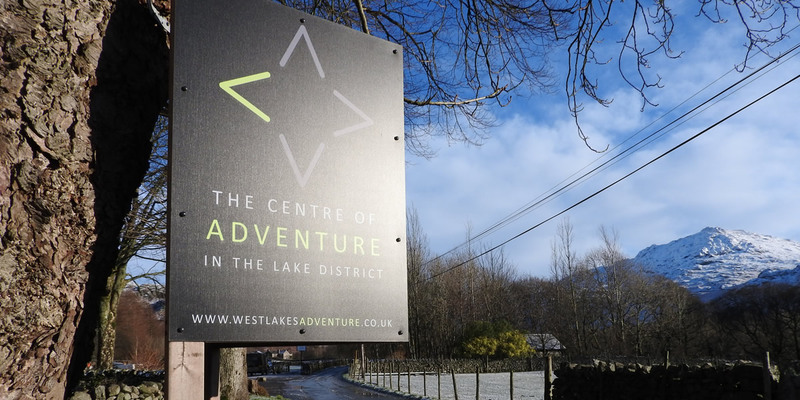 West Lakes Adventure is an Outdoor Activity Provider who is located at Woolpack Farm. The main barn is being adapted for use of an indoor archery range and sports area. Activities run all year round and we can cater for a range of groups, families, couples and individuals. Private coaching or guiding days and multi-activity days can be booked any time of the year (subject to availability). A set activity programme runs from Easter until September.